Dating back to the 16th century (when it was a Jesuit Monastery) the ‘honey bottom’ was – and still is – famed for its phenomenal gardens, orange and lemon groves. Make the Grand Hotel Cocumella part of your luxury, tailor-made holiday to Italy and you’ll soon see why it earned its nickname. The hotel’s name comes from ‘colomeide’, or ‘honey bottom’, an allusion to the monastery’s fertile groves of fragrant citrus fruits. 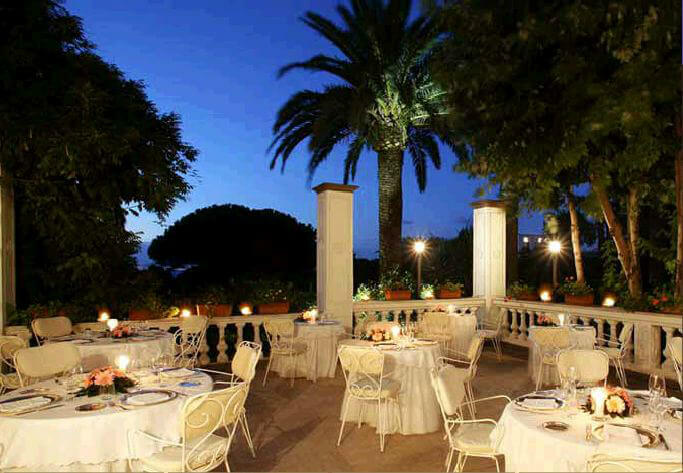 The Cocumella has been a hotel for almost two hundred years, and the allusion still stands in good stead – today’s gardens stretch for acre after acre of tree-lined paths, lily ponds, ancient walls and statues, hanging flowers, secluded walks and fruit trees. The hotel itself is hardly less picturesque. Its lounges are supremely graceful with archways and glittering chandeliers. Its terraces offer unrivalled, sweeping views of the Mediterranean or the tranquil gardens. The suites typically have private balconies overlooking the sea and spectacular trompe l’eoil ceilings.